An evolution of the orangeries introduced to England in the seventeenth century, the conservatory has seen numerous developments and changes since then, becoming especially popular in the 1980s as a cheap way to add space to a home. Having progressed from functional to ornate to social space throughout the course of history, the conservatory is now in its next phase of regeneration, one no doubt instigated by a nationwide focus on energy efficiency and sustainability. Recent years have seen more and more homeowners replacing their conservatory’s worn-out glass or plastic roofs with lightweight tiled roofing from the likes of Preston-based market leaders SupaLite, whose network of installers serve homeowners all over the UK. Tiled conservatory roofs are a milestone in the UK’s journey towards widespread energy efficiency. Tiled roofs such as SupaLite’s boast an incredibly low U-value of 0.18 and, unlike more traditional glass or plastic roof systems, do not transmit heat. As well as saving homeowners potentially thousands of pounds in the long term this also transforms the conservatory into a room that can be used all year round, remaining warm in the winter and keeping cool in the hotter summer months. With this new trend there also comes an opportunity to modernise the appearance of a conservatory. 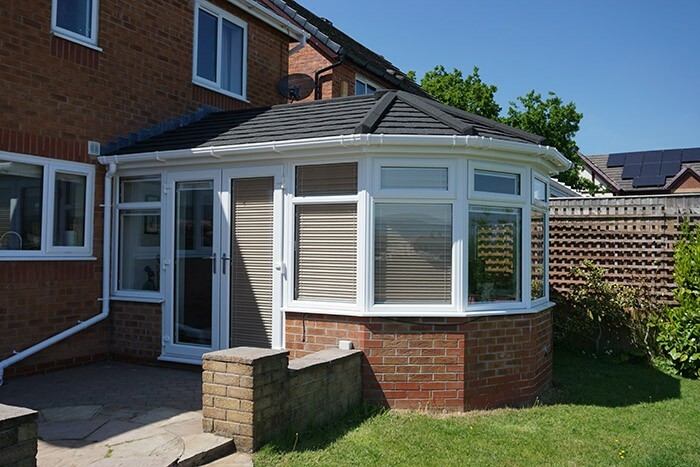 A choice of tile colours and materials allow homeowners to move away from the generic style of many conservatories installed during the eighties and nineties and instead to emulate to look of their main property. Designed to be retrofitting, SupaLite’s tiled roof systems can also be tailored to fit with a conservatory’s existing window frames, meaning that homeowners need not suffer the expense of an entirely new conservatory in order to improve their home’s appearance and energy efficiency. Conservatories are not renowned for being robust. Indeed, for some polycarbonate roofs it takes only a heavy snowfall for them to cave in and cause homeowner’s hours of hassle and hundreds of pounds worth of damage. At the same time though, the surrounding structures are often unable to support stronger, heavier roofs. For SupaLite, this problem has been resolved with the help of aluminium. With this material, the main structure of SupaLite’s systems can strike an important balance between sturdiness and lightness: the Supalite roof is not much heavier than standard glass roofs, but aluminium’s inherent strength also means that they are perfectly suited to coping with the UK’s unpredictable weather. Supalite can also supply structural mullions which are a retro fit internal post that carries the weight of the roof directly to the foundation which eliminates and dead load on the existing window frames. 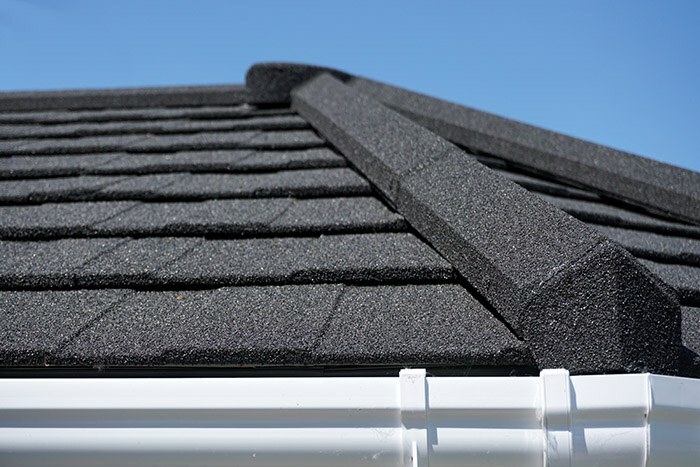 However, for homeowners looking to invest in a new roof, ensuring that their chosen product conforms to various standards and requirements can be time-consuming and confusing. For solid conservatory roofs a building certificate is required and various other safety checks are highly recommended. In order to save their clients this time and expense, SupaLite have partnered with JHAi – a organisation approved by the Construction Industry Council (CIC) to carry out Building Regulations approvals as an alternative to Local Authorities. This also allows homeowners to avoid any potential issues when it comes to selling their house in the future. SupaLite’s tiles are also tested by the British Research Establishment to ensure that they are both secure and weatherproof. For users, tiled roof systems have great practical value, improving not only the stability and security of their conservatory but also its usability. Due to the weakness of their principal material, lightweight polycarbonate roofs are particularly vulnerable to leaks and – as many conservatory owners will know – are very noisy in heavy rainfall. Tiled roofs solve both of these problems, providing exceptional, watertight protection against the elements and preventing the noise issues associated with other roofing materials. Tiled roofs also eliminate the characteristic glare of transparent roof systems. For many, the requirement that their roof be regularly cleaned is the biggest source of aggravation associated with a conservatory. A necessity for glass or polycarbonate roofs, this is not a concern for those with tiled roofs. Just like the roof of the main home, tiled conservatory roofs require cleaning much less regularly than traditional systems. An investment in the future, tiled roofs help improve the value of a property and, for extra peace of mind, all of SupaLite’s systems come with a ten-year guarantee.